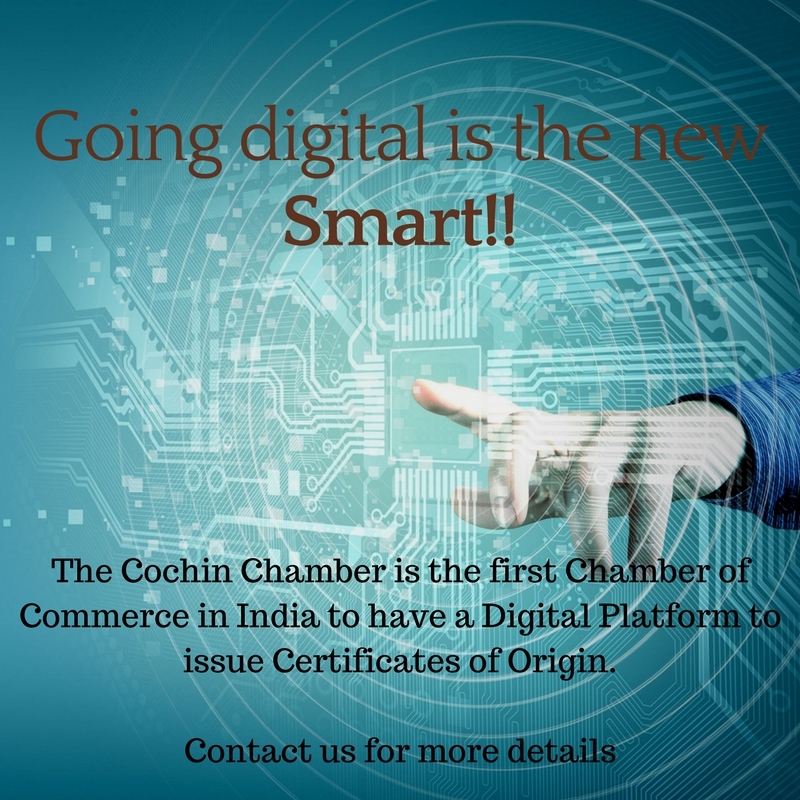 Having completed 160 years of service to region’s industry and trade, the Cochin Chamber of Commerce and Industry is the oldest Chamber of Commerce in the State of Kerala and one among the oldest in the country. Ours is a heritage and legacy which is incomparable. Marking this significant occasion, the Chamber had organised an event in November last year where the Hon’ble Vice President of India Shri. M Venkaiah Naidu was the Chief Guest. The Chamber will shortly be conducting a Valedictory Session of the 160th year. The details regarding the same will be intimated to you in due course. On the occasion of the Valedictory Session we will be bringing out a “Souvenir” commemorating the Chamber’s 160 year journey. The publication will highlight the Chamber’s storied past and its priceless legacy and will also contain information regarding our Members. I hope you will all support this initiative and make it a grand success. Management Development Programmes have become very important in today’s competitive world. The Cochin Chamber has been conducting Management Development Programmes for several years now. In October, the Chamber conducted an MDP on “Corporate Excellence – The Kaizen Way.” The participants unanimously agreed that they found the session extremely useful and that they were motivated to achieve more in their workplace. The 12th CEO Forum Breakfast Meeting was held on 2nd November 2018. The Speaker, Ms. Deepa Bhatia Chirayath, Leader – Entity Governance & Compliance, Tax & Regulatory, PwC India spoke on the subject, “Key Compliance Updates under the Companies Act, 2013 and Foreign Exchange Management Act, 1999”. The meeting went off very well and all those who attended it appreciated the talk. The Chamber also organised a half day Workshop on “TDS/TCS Provisions under GST” on 10th November 2018 to clear matters and to provide members of trade and industry with a clear picture on the new provisions. All those who attended the Workshop appreciated the effort. A detailed report on these events along with pictures is carried in this issue of Newsletter. I am happy to inform you that the Ambassador of Paraguay, His Excellency Mr. Fleming Raul Duarte Ramos will be visiting the Chamber on 26th November 2018. In this connection the Chamber will be organising an interactive session with the Ambassador to understand and explore business opportunities between our two regions. We will be organising a talk on “Insolvency & Bankruptcy Code on 30th November 2018 at Center Hotel, Ernakulam. The Speakers of the Session include Justice. A.K. 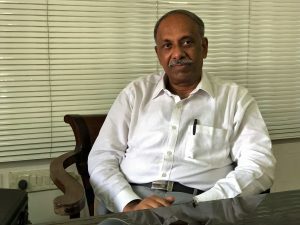 Jayasankaran Nambiar, Judge, High Court of Kerala and CA. Anil Goel, Chairman AAA Insolvency Professionals LLP, New Delhi. The talk is being organised with the intention of spreading awareness of the law and to encourage entrepreneurship amongst the business community. The Port of Antwerp Authority in association with the Chamber will be organising a High-tea Event on 3rd December 2018 at Hotel Trident between 4 p.m and 6.30 p.m. At this event, issues relating to supply chain of Sea Food Exports will be discussed. The last meeting under the CEO Forum 2018 will be held on the 7th of December, 2018. The session will be on “Indian Economy: Half Full or Half Empty” and will be handled by Mr. Manoj Mullath, Founder & Head – Wealth & Key Relationships Capricorne Mindframe – Chennai. Finally, the Chamber is organising a Workshop on “GST Audits and Annual Returns: An Overview” on 8th December 2018 at Hotel Park Central, Kaloor. The Speaker of the session will be Ms. Nisha Menon – Director, Tax – PwC India. The workshop will provide an overview of the upcoming GST Audits and filing of Annual Returns for which the 31st of December is the last date. I trust that all of you will make use of these opportunities in the best possible manner. The Cochin Chamber of Commerce and Industry conducted a one day Workshop on “Corporate Excellence – The Kaizen Way,” on Friday, 26th October 2018 at Hotel Abad Plaza, Ernakulam. The trainer for the session was Mr. Mark Antony Sequeira, Master Trainer & CEO – Maestro HR Pvt. Ltd., Chennai. The intention in conducting the Workshop was to provide an insight on how Kaizen should be implemented and lived at all levels for the survival and growth of Organizations. Kaizen is the strategy for achieving continuous improvement in all functions of an organization. It focuses on improving the process rather than achieving particular results. The Welcome Address was delivered by Ms. Archana A K, Intern, Cochin Chamber of Commerce and Industry. The session began with the history of Kaizen and the two important aspects that define Kaizen namely people management and process management. This session also included interesting experiments. This was followed by a session on the umbrella concept of Kaizen and what all parameters come under it. Mr. Sequeira also asked the participants to share their knowledge about these parameters. It also covered the key concepts of Kaizen and what should be the aim of a Kaizen organization. The session also looked into situations where Kaizen becomes ineffective. The next session commenced with the PDCA concept of Kaizen. It also focussed on the prime factor of Kaizen – Energy – and the four factors of energy. It also explained the Kaizen Model of Continuous Improvement. Mr. Sequeira asked the participants to point out a main problem they are facing in their respective organisations and explain it on the basis of Kaizen Model. In the final session Mr. Sequeira depicted the difference between the Kaizen Way and the Usual Way in leading a company through a crisis. He also explained in detail the Kaizen 5S framework. The participants unanimously agreed that they found the session extremely useful and they were motivated to achieve more in their workplace. Ms. Vani Devi, Intern, Cochin Chamber of Commerce and Industry delivered the Vote of Thanks. Mr. Sequeira handed over the participation certificates to the attendees. The session, attended by 20 participants, concluded by 5:30 pm. The Twelfth Breakfast Meeting of the CEO FORUM 2017-18 was held on Friday, the 2nd of November 2018 at the Taj Gateway, Ernakulam. Mr. V. Venugopal, President of the Chamber delivered the Welcome Address and introduced Ms. Deepa Bhatia Chirayath. Mr. C.S. Kartha, Programme Committee Chairman of the Chamber, presented a Memento to Ms. Bhatia. Mr. Hari Kumar, Vice-President of the Cochin Chamber, delivered the Vote of Thanks. The event was attended by 30 CEOs and Directors from different industry sectors. The Cochin Chamber of Commerce and Industry organized a Workshop on TDS/TCS provisions under GST on 10th of November 2018 at The Mercy Hotel, Ravipuram, Ernakulam. This Workshop was organized to clear the confusion regarding the concepts of TDS and TCS as the terminology is similar to that used under Income Tax Law. The Workshop was handled by Mr Asoka Narayanan, Superintendent of Central Excise Department, CGST, Trivandrum. Mr. C.S. Kartha, Programme Committee Chairman of the Chamber delivered the Welcome Address. The session lucidly explained the provisions of TDS and TCS under GST and the various government bodies which come under its purview. Mr Asoka Narayanan explained the steps involved in downloading the TDS certificate with the help of screenshots. He also detailed on the various penalties arising out of delayed filing of returns under CGST Act and SGST Act. The participants engaged in a very active Question and Answer session enabling clarification of doubts pertaining to the subject. Mr. PM Veeramani, Executive Committee Member of the Chamber delivered the Vote of Thanks. Talk on "Insolvency & Bankruptcy - 2016"
The Cochin Chamber of Commerce & Industry is organizing a talk on, “The Insolvency & Bankruptcy Code – 2016”, on the 30th of November, 2018 at Center Hotel. The programme is scheduled to commence at 05.30 p.m with High-tea. The talk is being organized with the intention of spreading awareness of the law and to encourage entrepreneurship and innovation amongst the business community. Business enterprises are established with the goal of making adequate profits for owner/owners. With the involvement of this law Entrepreneurs and lenders can easily move on from an unprofitable Business situation. The old and archaic provisions to deal with sickness out of financial difficulties have been replaced by the Insolvency and Bankruptcy Code 2016 in time bound manner for maximization of value of assets of such persons and also to provide balance of interest of stakeholders. Eminent personalities like Justice. A.K. Jayasankaran Nambiar, Judge, High Court of Kerala and Mr. Anil Goel, Chairman, AAA Insolvency Professionals LLP, New Delhi will speak at the event. To ensure revival before liquidation. To address mounting NPA as a financial creditor. Empowered to trigger insolvency process by operative creditors. Resolution and not liquidation: As a going concern basis, business should be revived before liquidation. Time bound process: The entire insolvency resolution process completes in 180 days or such cases as may be extended by another 90 days – thus total 270 days. Information utilities: to provide timely dissemination of information of concerned. Automatic liquidation if revival process fail. Creditors voluntary winding up do away with. Operative creditors more than 10% aggregate exposure participate in committee of creditors. Home buyers as secured financial creditor to recover money from defaulted builders. Enables the shifting of management from shareholders to stakeholders – composing of creditors. Companies and LLP’s – NCLT and partnership and individuals DRT is the Adjudicating Authority. DRT already functions from Kochi and NCLT is notified to start and function from Kochi. Online registration is MANDATORY to attend this programme. 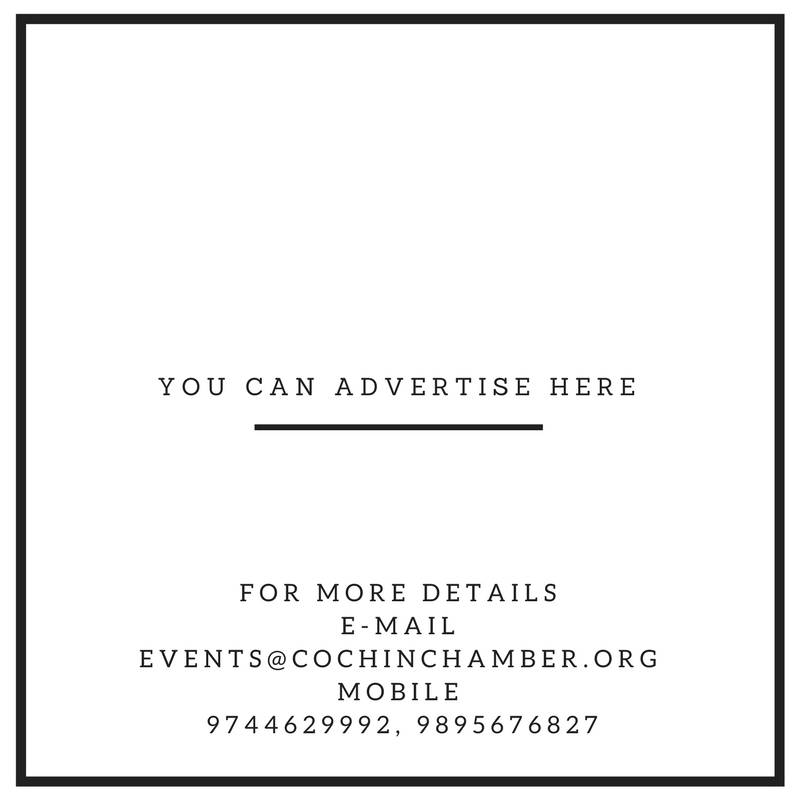 Visit the Cochin Chamber‘s Website to register for the programme. The Port of Antwerp Authority in association with the Cochin Chamber of Commerce & Industry, will be organising a High-tea Event on Monday the 3rd of December, 2018 at Hotel Trident, Willingdon Island between 16.30 hrs and 18.30 hrs. This programme is being organised to discuss issues relating to the supply chain of Sea Food Exports and to showcase the Port of Antwerp as an ideal solution to the supply chain management issues faced by the Sea Food Exporters in Kerala. Those of you who are interested in participating in this meeting are requested to send in their confirmation by email latest by the 30th of November, 2018 to the ids shown below. The 13th Meeting of the CEO FORUM 2018 will be held on Friday, the 7th of December 2018. Speaker: Mr. Manoj Mullath, Founder & Head – Wealth & Key Relationships, Capricorne Mindframe, Chennai. Venue: Anchor Hall, Taj Gateway, Marine Drive, Ernakulam. If you are unable to attend, we request you to kindly depute one of your Senior Managers to attend the session on your behalf. The Cochin Chamber of Commerce & Industry is organising a Workshop on GST Audits and Annual Returns: An Overview, on Saturday the 8th of December, 2018 at Hotel Park Central, Kaloor, Ernakulam, from 10.00 a.m. onwards. The Programme will end by 1.00 p.m. with Lunch. Ms. Nisha Menon, Director, Tax – PwC, India will be the Speaker at the Session. India GST is now more than a year old and very soon businesses would be required to file their first ever GST Annual Returns and Audit Reports. It is imperative for Businesses to focus on various compliances such as reconciliations of the turnover and the input GST Credits to the state wise books of accounts, adjustment of credit notes, advances, foreign exchange differences etc. in the preparation of the Annual Return and GST Audit certification. This is critical to avoid any loss of credits and mitigate the risk of additional payment of tax liability as a result of non-reconciliation and applicability of interest/penalties. The due date for filing the GST Annual Returns and Audit Report along with reconciliation statement for the Financial Year 2017-18 is December 31, 2018. Based on these filings, the revenue authorities would initiate the process of assessment/audit of companies under the GST Law. Hence it is critical that Businesses are well prepared for not only filing the GST audit report but also for the consequential audits by authorities. It is in this backdrop that we are organising this Half Day Session on GST Audits and Annual Returns which will provide an overview of the upcoming GST Audits, insights on the forms as well as discuss areas on which Businesses would need to focus. This is an important Session and we request you to kindly participate in the same or depute people from your Organisation to attend. Are you wondering how that huge flex board hanging from the tree near your house disappeared? Maybe it served as a landmark when you were helping your friend find his way while visiting you. Well if that is the case, you will be disappointed thanks to the recent ruling of the High Court to remove all advertisement boards including flex boards erected at public places in Kerala without the permission of local self-government authorities. This ruling has come in the wake of the increasing number of accidents caused by these illegal advertisement boards which often block the motorists view. Though the Court order had stated that it is the responsibility of the LSG to take down all the illegal boards erected in public places, they soon had to rely on the SPIA (Sign Printing Industries Association) as this was a herculean task. It is learnt that a few months before, SPIA had proposed to the State Government and Suchitva Mission about recycling units that would recycle the flex material after use. Kochi being one of the 3 shredding zones, after the process of shredding, the material would be transferred to multi-layered recycling units where the composites would be segregated. The plastic thus obtained would be reused by the industry. India has around 40 units that can perform multi-layered plastic recycling. Interestingly, this ban on flex boards has brought the Signage Industry in Kerala to the limelight and you would be surprised to know that a whopping 2 lakh people are directly employed in flex printing and signage units in the State. It also provides indirect employment to 5 lakh people according to the Ernakulam District Secretary, SPIA. Out of 1200 printing units in the State, Kochi alone has 200 and the larger ones employ as many as 80-100 people. October 30th 2018 was set as the dead line by the Government to all the LSGs to ensure that all the illegal boards that fall under their administration are removed. Let us now discuss whether this rule has been implemented effectively in Kochi, how it has impacted the city and also the measures adopted to curb the flex board menace. According to officials, some of the flex boards haven’t been removed properly as only the flex sheets have been removed keeping the metal frames intact. The excuse given is that it will be expensive to take down these structures, according to the workers. The Corporation has also received complaints that the workers are inadvertently removing even the authorized hoardings which has forced the Corporation authorities to paste stickers on the legally erected advertisement boards. Another issue faced by Kochiites is the illegal dumping of the removed flexes causing difficulty in disposing of the waste from many households as landfills are constrained for space. However, there are a few measures that can be adopted to prevent further increase in the number of illegally erected boards. We understand that the Corporation has plans to assign specific areas for erecting flex boards in the city. Nowadays ‘Recycling’ and ‘Reusing’ are two terms that have gained a lot of hype among the public. When Prime Minister Narendra Modi introduced the note ban, many recycling units in the country made news by turning them into useful materials. Recycling units are now looking at collecting and processing these flexes into granules which can be utilized in tarring the roads. Undoubtedly, the authorities are considering recycling as a good option and we hear that they are planning to send these flexes to a recycling unit in Mandya, Karnataka. Reports point out that the Ernakulam District alone witnessed removal of 28996 illegal flex boards which indicates that the local authorities have really stepped up their operations in order to abide by this rule. However, the discarded flex boards lying scattered on the roadsides is not a pleasant sight for the tourists that flock to this beautiful city known to the world as ‘The Queen of Arabian Sea’. In a world where people are embracing e-commerce like never before, business establishments should not be worried by this ban on flex boards as there are umpteen number of media to advertise including TV, newspapers, journals and radios and especially the social media. At a time when the Centre and the State Governments are leaving no stone unturned to promote sanitation and cleanliness drive under the Swachch Bharat Abhiyan and Clean Kerala Mission, it’s up to every individual and other entities not to violate civic sense by erecting such boards at public places. In a city where even students find a place on flex boards flaunting their 10th or 12th Board Exam scores besides their photograph, this rule has had a real impact among its people. Not too long ago, a stroll around the city would have revealed many flex boards hanging from trees, electric poles, telephone posts and also the dividers on the roads. The flex rule has definitely brought in the much-needed change paving the way for cleaner and clutter-free roads in the near future. That being said, it is high time that the people living in Kochi joined hands with the Government and accepted this rule with open arms. Team leaders need to be mindful of the fact that employees spend most of their productive hours at work. That’s why they should take an interest in employees’ lives and help them solve problems. It’s a good idea to spend some time with teams every week in informal settings, such as cafés, to put them at ease. Today’s culture demands humility. Team leaders should be friendly rather than strict. They should be comfortable being vulnerable and should admit when they don’t know something. At the same time, it’s important to be confident and project a sense of security so that the team feels comfortable approaching the leader when things go wrong. Putting thought into the conversations you have with your team can go a long way in making you approachable. A ‘How are you?’ can sometimes elicit just a perfunctory response. Instead, work to make conversations deeper. A sense of humour is always a bonus, but for those who aren’t naturally funny, having open body language can lead to better conversations too. Leaders should be happy with team members’ progress, not jealous of their team. Competing with the team indicates insecurity, and the team will feel uncomfortable approaching such a leader. Leaders should be available to people of all levels. It’s a good idea to reply to every message received on social media, even from those you may not know personally, as it cultivates an accessible persona. Accessibility should work one-way—a leader should be accessible at all times, as crisis can hit any time, but the same demand should not be made on the team members as they could feel harassed and boxed in. Slow down first to be able to speed up later. Your career is not like a one-day cricket match, it’s like a Test series. Careers are not made by hopping jobs. Being hasty while picking a job could lead you to get stuck in a job where you can’t learn quickly. These days, a job description may not necessarily be useful. It’s better to get clarity from your manager on what expectations he or she has from you. Agree on priorities, and timelines to deliver results. Then, keep them posted on your progress. Seeking continuous feedback will help you stay agile. At the beginning of a new job, it’s not a good idea to juggle too many things. If you over-commit and under-deliver, it creates a downward spiral. You may be coming in with the baggage of your previous organisation, and things may not work out as planned as the environment is different. For the same reason, it’s also a good idea to wait for a while before you bring in new ideas to the table. It’s not just managers, but peers too that you have to build relationships with. We’re not talking about socialising about chai here, but helping your colleagues out professionally. At the end of the day, they are the ones who can put in a good word about you to the bosses, even if informally. Many organisations assign peer-mentors, or ‘buddies’ to help new employees adjust in the first few months. One should take the induction process seriously. If you still have questions, you can seek help from your peer-mentor. This will make sure that not too much time is wasted in learning what kind of administrative processes take place in the organisation. It’s also the company’s responsibility to help an employee learn.